With combined experience of over 60 years in high end marine instruments the A+T directors have unrivalled experience of good and bad design features. How these units fail, be it mechanical, electrical or software, not much has passed them by. The new A+T range takes this history and puts it into building the best instruments that have ever been made, combining huge experience, latest technologies and materials, sparing no effort in the quest for quality. Backward compatibility with existing B&G H2000 and H3000 systems, so that displays fit in the same cut-outs and fixing holes, using existing data-bus and wiring. Timeless look and feel while embodying cutting edge technology. Brand new design with connections and configurable interfacing for Fastnet, N2K and Ethernet giving ultimately very fast bus update rates. Ruthless drive for water/sun/temperature integrity in the harshest conditions. User upgradeable in situ, advanced diagnostics and fully repairable at sub-component level. 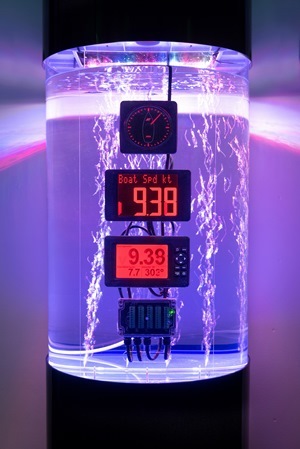 Yachts currently fitted with B&G H2000, H3000 or WTP systems are unlikely to want to fit a completely new system including throwing out all displays, many sensors and complete rewiring, just because one or more displays have failed. 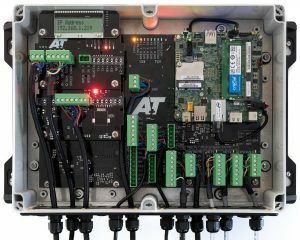 A+T offer a step-wise upgrade path to change out displays, sensors and processor as needed while keeping exsiting wiring. The new ATP processors exceed the specifications of existing solutions. A+T actively seeks feedback and input from owners, captains, engineers, navigators and others on suggestions for features and specifications of future products. 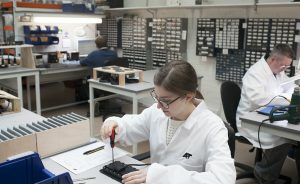 While individual components are outsourced, all design, development, assembly and testing is done in-house in Lymington. Thus faults can be identified at source, specials can be accommodated and the same engineers who make the systems are available to repair them. Clients are welcome to visit to discuss requirements or to pick-up and drop-off equipment for service.